Air Vice-Marshal George Yaw Boakye (December 25, 1937 – June 26, 1979) was an airman and politician. He is a former Commander of the Ghana Air Force (November 1976 - June 1979) and member of the Supreme Military Council (SMC) in Ghana. He became a member of the SMC in November 1976 by virtue of his position as the Commander of the Ghana Air Force. He was executed by firing squad on June 26, 1979. AVM George Yaw Boakye was born on the 25 December 1937 at Ejisu in the Ashanti Region of Ghana to the late Albert Yaw Boakye and Madam Sarah Akua Ampofowaa of Aduman in the Kwabere District. He started his primary education at the St. Joseph's school in Kumasi in 1943, and then proceeded to enter the Opoku Ware Secondary School in 1953 where he graduated in 1957 with a West African School Certificate. Ejisu is a small city in Ghana and is the capital of Ejisu Municipal Assembly, a municipality of the Ashanti Region, Ghana.This municipal is one of the 30 administrative and political Districts in the Ashanti Region of Ghana and it was established by Legislative Instrument (L.I) 1890. Kumasi is a city in Ashanti Region, and is among the largest metropolitan areas in Ghana. Kumasi is near Lake Bosomtwe, in a rain forest region, and is the commercial, industrial and cultural capital of Asanteman. Kumasi is approximately 500 kilometres (300 mi) north of the Equator and 200 kilometres (100 mi) north of the Gulf of Guinea. Kumasi is alternatively known as "The Garden City" because of its many beautiful species of flowers and plants. It is also called Oseikrom. Kumasi is described as Ghana's second city. After graduation, he entered the Kumasi College of Science and Technology (now known as the Kwame Nkrumah University of Science and Technology ) with the intention of pursuing a career in mechanical engineering. However, the authorities of the school felt he was one of the right materials for the newly established Faculty of Architecture, and thus steered his path toward a career in architecture. This career change did not go down well with him, and this made him leave the university altogether in 1958. From his cherished dream of becoming a mechanical engineer, he soon became one of the first intakes of the Ghana Air Force Officer Corps in July 1959. He was married to Mrs Beatrice Afua Boakye, an educationist, and had five children. Air Vice-Marshal George Yaw Boakye had his basic Military Training at the Teshie Military Academy and attended the Flying Training School in Takoradi, Ghana. He was commissioned on January 20, 1961 by the late Osagyefo Dr. Kwame Nkrumah, the first President of Ghana and the first Prime Minister of Ghana. From 1961-1963, he was attached to the No. 2 Squadron in Takoradi flying Caribous. He was later transferred to the Air Force station in Accra, Ghana, as a VIP Pilot flying Herons from 1963 to 1965. Later, he proceeded to attend the Junior Command and Staff School in the United Kingdom from January, 1966, until March, 1966. Teshie is a coastal town in the Ledzokuku-Krowor Municipal District, a district in the Greater Accra Region of southeastern Ghana. Teshie is the ninth most populous settlement in Ghana, with a population of 171,875 people. It is believed that the original Teshie people came from La, a town that lies to the west of Teshie. Its alternative definition refers to an individual devoted to the John Tesh radio program. The de Havilland Canada DHC-4 Caribou is a Canadian-designed and produced specialized cargo aircraft with short takeoff and landing (STOL) capability. The Caribou was first flown in 1958 and although mainly retired from military operations, is still in use in small numbers as a rugged "bush" aircraft. 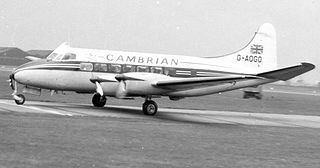 The de Havilland DH.114 Heron was a small propeller-driven British airliner that first flew on 10 May 1950. It was a development of the twin-engine de Havilland Dove, with a stretched fuselage and two more engines. It was designed as a rugged, conventional low-wing monoplane with tricycle undercarriage that could be used on regional and commuter routes. 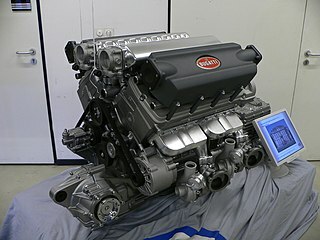 150 were built, also exported to about 30 countries. Herons later formed the basis for various conversions, such as the Riley Turbo Skyliner and the Saunders ST-27 and ST-28. Between July 1965 and July 1967, he was the Squadron of the Air Force Station in Accra, Ghana. From December 1967 to December 1968, he attended the Royal Air Force Staff College, Andover, Hampshire, United Kingdom. In December 1969, he became the Squadron Leader of Air Force Plans at the Air Force HQ in Accra, Ghana. He held this position until August 1970. In that same month, he became the Senior Air Force Staff Officer at the Air Force HQ; a post he held until July, 1971. From July, 1971, until January, 1974, he was the Air Staff Officer and Chief Staff Officer. In January 1974, he proceeded to attend the National Defence College, in New Delhi, India; he completed the program in November, 1974. Andover is a town in the English county of Hampshire. The town is on the River Anton, a major source of the Test, 18 miles (29 km) west of the town of Basingstoke, both major rail stops. It is 15 miles (24 km) NNW of the city of Winchester, 25 miles (40 km) north of the city of Southampton and 65 miles (105 km) WSW of London. Andover is twinned with the towns of Redon in France, Goch in Germany, and Andover, Massachusetts in the United States. In January 1975, he became the Commandant of the Military Academy and Training Schools in Ghana. He served in that role until November, 1976, when he became the Commanding Officer of the Ghana Air Force. Throughout his life and career, AVM Boakye was known amongst his peers and visiting dignitaries as the ultimate definition of an officer and a gentleman. Commandant is a title often given to the officer in charge of a military training establishment or academy. This usage is common in English-speaking nations. In some countries it may be a military or police rank. It is also often used to refer to the commander of a military prison or prison camp. By virtue of his position as Commanding Officer of the Ghana Air Force, Air Vice-Marshal George Yaw Boakye became a member of the Supreme Military Council (SMC). He held this position until his execution by firing squad on the morning of June 26 1979. On the morning of June 26, 1979, AVM Boakye, together with five other senior military officers (including two former Ghanaian heads of state), was executed by a firing squad at the Teshie Military Range, Ghana. After the morning execution, the bodies of the executed Generals and Colonel were unceremoniously buried at the Nsawam Prisons Cemetery in Adoagyiri, near Nsawam in the Eastern Region. A Truth and Reconciliation Commission to investigate atrocities during the Rawlings years and preceding military regimes established that, the executed Generals and Colonel were not tried before their execution. In 2001, the remains of the executed senior military officers were exhumed by the government of President John Addo-Kuffuor. The Ghana Armed Forces (GAF) is the unified armed force of Ghana, consisting of the Army (GA), Navy (GN), and Ghana Air Force. 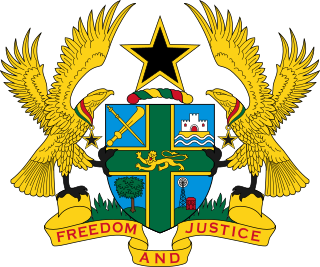 The GAF are supervised by the Ghanaian Ministry of Defence. The Ghana Air Force (GHF) is the aerial warfare organizational military branch of the Ghanaian Armed Forces (GAF). The GHF, along with the Ghanaian army (GA) and Ghanaian navy (GN), make up the Ghanaian Armed Forces (GAF) which are controlled by the Ghanaian Ministry of Defence (MoD). Lt-General Akwasi Amankwaa Afrifa was a Ghanaian soldier, farmer, a traditional ruler (king) and politician. Lieutenant General Frederick William "Fred" Kwasi Akuffo was a soldier and politician. He was a Chief of Defence Staff of the Ghana Armed Forces and a Head of state and chairman of the ruling Supreme Military Council (SMC) in Ghana from 1978 to 1979. He came to power in a military coup, was overthrown in another military coup and executed three weeks later. The Ghana Army (GA) is the main ground warfare organizational military branch of the Ghanaian Armed Forces (GAF). In 1959, two years after the Gold Coast obtained independence as Ghana, the Gold Coast Regiment was withdrawn from the Royal West African Frontier Force, and formed the basis for the new Ghanaian army. Together with the Ghanaian air force (GHF) and Ghanaian navy (GN), the Ghanaian army (GA) makes up the Ghanaian Armed Forces (GAF), controlled by the Ghanaian Ministry of Defence (MoD) and Central Defence Headquarters, both located in Greater Accra. Colonel Roger Joseph Atogetipoli Felli was a soldier and politician who was once the foreign minister of Ghana. Major General Robert Ebenezer Abossey Kotei was a soldier, politician and track and field athlete. He was once the Chief of Defence Staff of the Ghana Armed Forces and also a member of the Supreme Military Council which ruled Ghana between 1975 and 1979. He was executed in 1979, following a military coup. He also held the Ghanaian high jump record for many years. The Ghana Secondary Technical School is a Science and Technology oriented high school located in Takoradi on the west coast of Ghana. It is the third oldest high school in Ghana - the oldest 'non-missionary' high school. The school was founded on 9 August 1909 in Accra as Accra Technical School, and, after the name had been changed to Government Technical School, it moved to its current site in Takoradi in 1939. In 1953, the name was changed to Government Secondary Technical School, and in 1970, it was given its current name. Former students of the school are popularly known as Giants, and students in the school are called Tescans. Rear Admiral Chemogoh Kevin Dzang was born at Nandom in the Upper West Region of Ghana. He is a retired naval officer and a former Chief of Naval Staff of the Ghana Navy. He also served Ghana as a Secretary of State for Defence and an ambassador to Japan with concurrent accreditations to the Commonwealth of Australia, Papua New Guinea, Singapore, South Korea, Malaysia, New Zealand, Indonesia, the Philippines, Brunei Darussalam and Thailand. Emmanuel E Ikwue was Nigerian Air Force's Chief of the Air Staff from 1969 to 1975. Brigadier Ikwue was the fifth Commander of the Nigerian Air Force (NAF), the third indigenous to hold the post. Appointed in December 1969, he was the first to hold the office designated as the Chief of Air Staff, Nigerian Air Force. Lieutenant General Joseph Henry Smith is the Ambassador of Ghana to the United States. Smith was the Minister for Defence of Ghana during President John Atta Mills' term of office from 2009 to 2013. He is also a former Chief of Army Staff of the Ghana Army. Major General Neville Alexander Odartey-Wellington (1934–1979), former Chief of Army Staff, Ghana Armed Forces (1978–79), was a Ghana Army officer. He was a native of Osu, Accra, and died in action leading loyal troops against revolting forces during the 4 June 1979 coup d'état in Ghana. Air Vice Marshal John E. Odaate-Barnor was a Ghanaian airman and diplomat. He was a former Chief of Defence Staff of the Ghana Armed Forces. 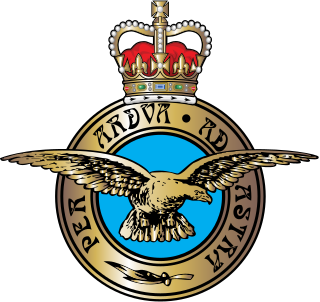 He served in this capacity from 7 December 1979 till 31 December 1981. The June 4th Revolution or June 4th Uprising was a violent uprising in Ghana in 1979 that arose out of a combination of corruption, bad governance, frustration among the general public, and lack of discipline and frustrations within the Ghanaian army. Joachim Amartey Quaye was a Ghanaian politician. He was found guilty for involvement in the murder of four Ghanaian citizens and executed by a firing squad in 1982. The Ghana Military Academy is the military academy of the Ghana Armed Forces. It offers basic military training to officer cadets from the Ghana Army, Ghana Navy and the Ghana Air Force. The academy is based in Teshie in the Greater Accra Region. Dzodze Penyi Senior High School is located in the Ketu North District of the Volta Region, Ghana. The school was established in 1963 as a college for teacher training. The high school has 44 permanent teachers, 35 non-teaching staff, one service person and one Peace-Corps volunteer. The motto of the School is 'Stoop to Conquer.' These words were taken from a comedy titled She Stoops to Conquer, which was written by Irish author Oliver Goldsmith. ↑ "Rawlings To Defend Executions At NRC". Ghana Home Page. Retrieved 2007-06-07. ↑ "Ghana reburies past in quest for reconciliation". General News of Friday, 28 December 2001. Ghana Home Page. Retrieved 2007-06-07. ↑ "Two Ex- military generals re-buried at Osu cemetery". General News of Friday, 28 December 2001. Ghana Home Page. Retrieved 2007-06-06.